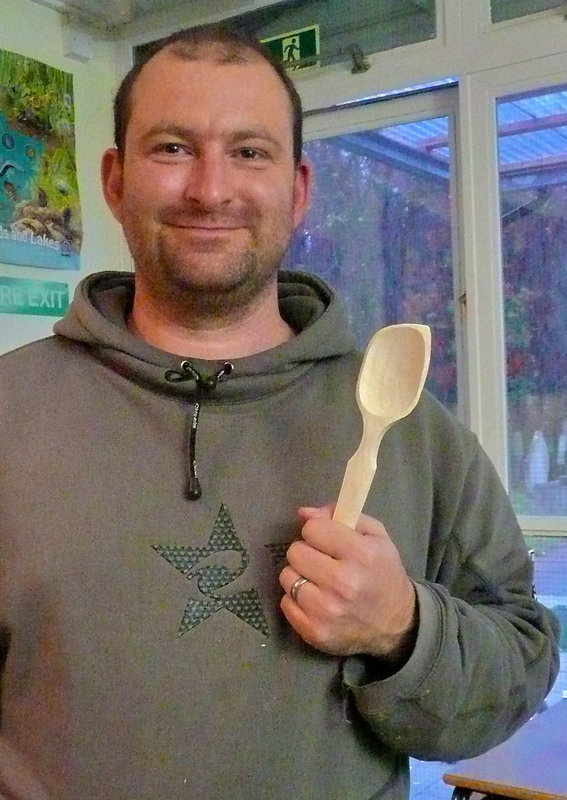 The Spoon Carving Workshop was a Triumph! Yes…Mr. P. absolutely loved his birthday surprise. 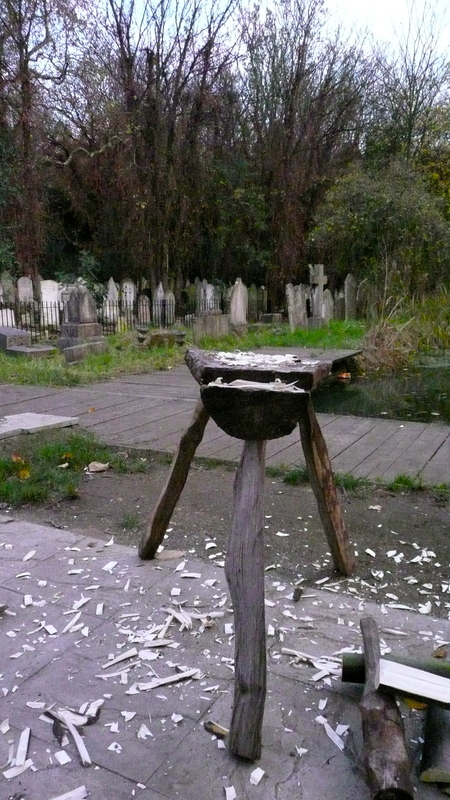 I went back to pick him up at the end of his workshop to find Mr P., Mr A. and Mr G. all carving away the most beautiful spoons with Barn the Spoon ( read the article by clicking on his name) with the Tower Hamlets Cemetery Park out the window. I have to say I quite fancied doing a bit of spoon carving myself. Mr G. and Mr A. were both quite experienced carvers, and had their own tools and their spoon carving was rather good, but I can imagine Mr. P. could get good too as it is just the sort of thing he likes do, especially all that whittling..sorry carving. 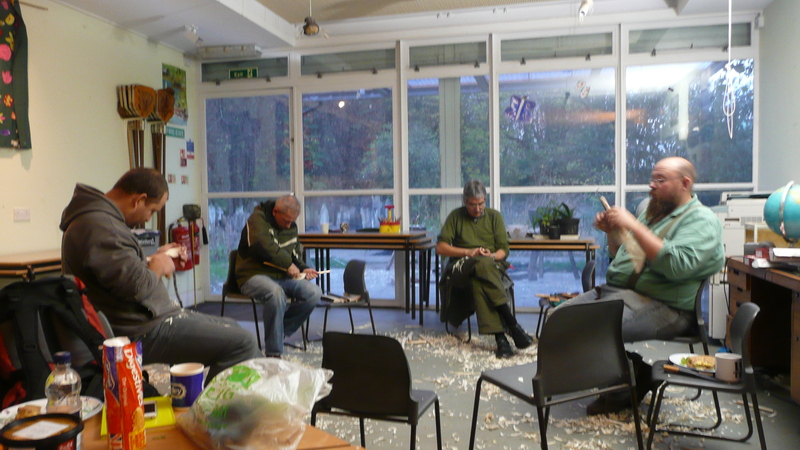 During the day they learned all the health and safety ways of holding all the correct tools, cut the wood outside for the spoon with axe and then did the carving with other interesting tools ( the lovely Mr G. gave Mr P. a special tool he had hand made, so Mr P. could carry on carving at home…). 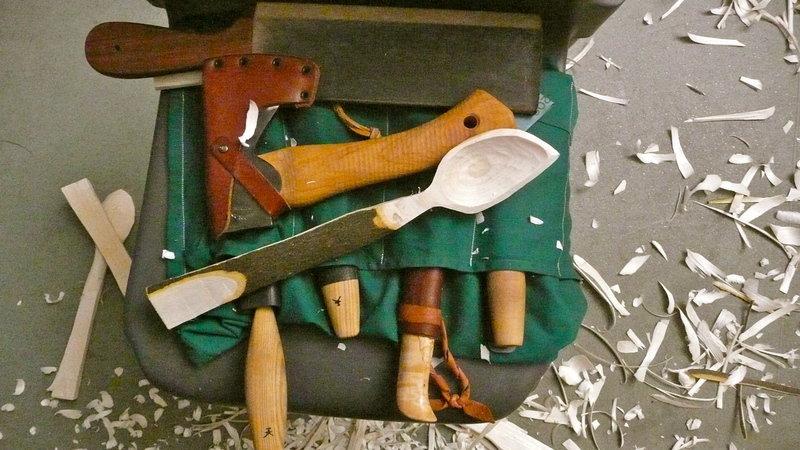 It is well worth looking at some spoon carving round and about…..( I hear some people biting their arms off..spoon carving! rather eat glass…. each to their own eh?). 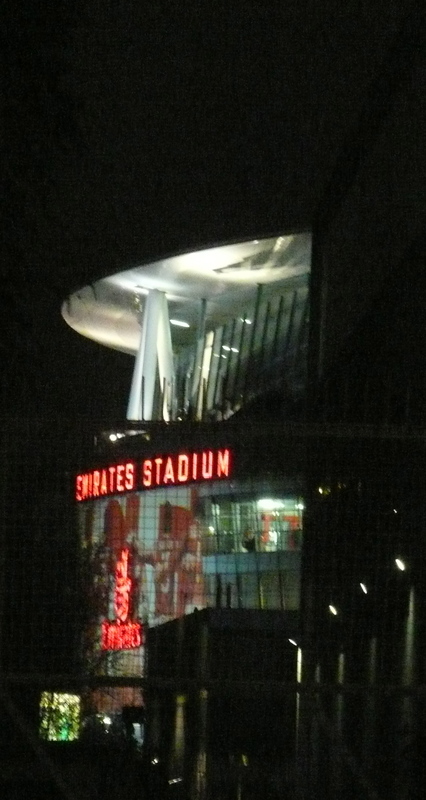 We all went and had some food in a Lebanese place in Mile End called The Orange Room and got the 277 bus back to Highbury and Islington, then managed to leg it up the Holloway Road home just before the Arsenal fans poured out of the Emirates stadium. Today more people are doing another day of spooning, which is for more experienced carvers. Mr P. is off to his community allotment/garden and I really should do some guitar practice. The roast chicken is in the oven and a couple of mates are popping by to help us eat it on their way home from Hampstead Heath. Wow! it sounds like someone else’s life. Did I step into a shiny magazine just for a moment? Just for a moment, all is calm and all is bright. I cannot quite believe it is nearly blinking December and the days are just racing by! It is blue skies and a peachy little chill outside. Happy Days.